Tata Kite front end shows headlamps which are large and tapered at the ends. The headlamps look good on the car with wraparound effect going up to the front fender. The honeycomb grill can also be made out from the picture. 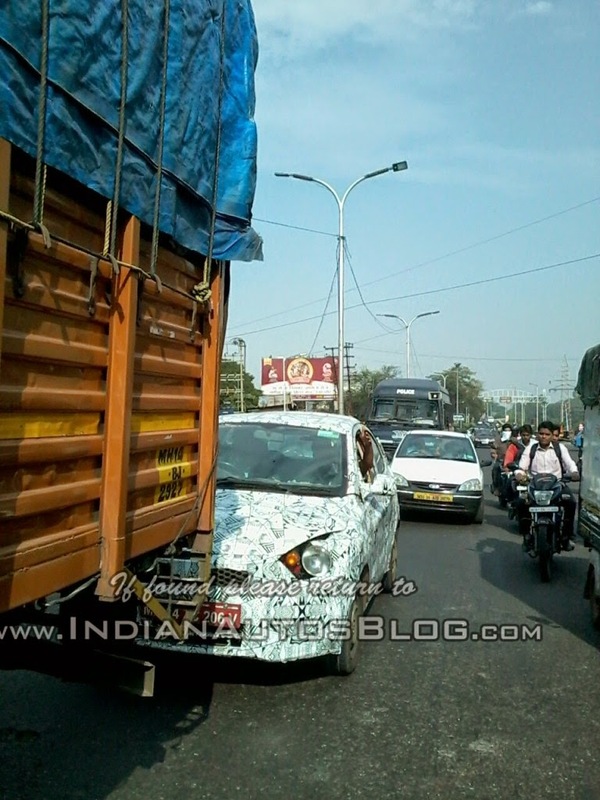 In the rear there are no tall tail lamps as seen in Indica cars. 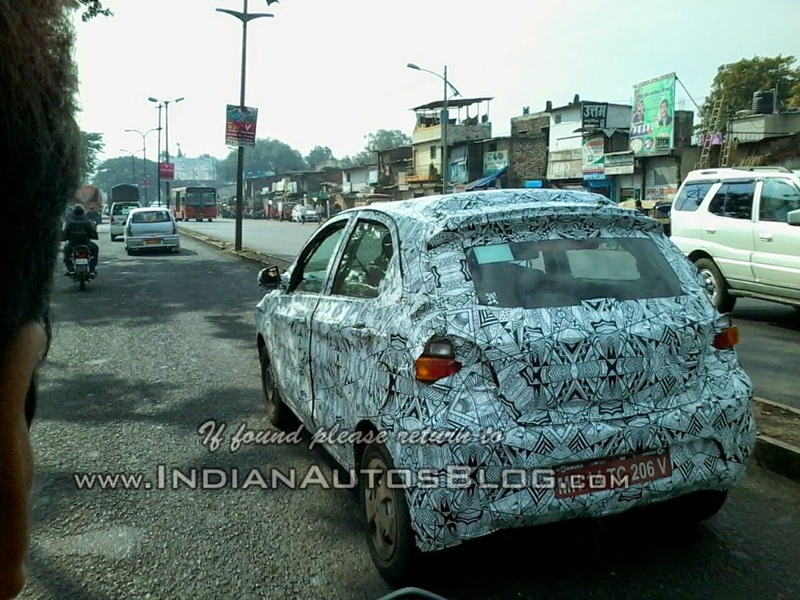 Instead the Kite gets a wraparound taillamps which look similar to that of the Zest sedan. The car seams to be proportiante in its dimensions.